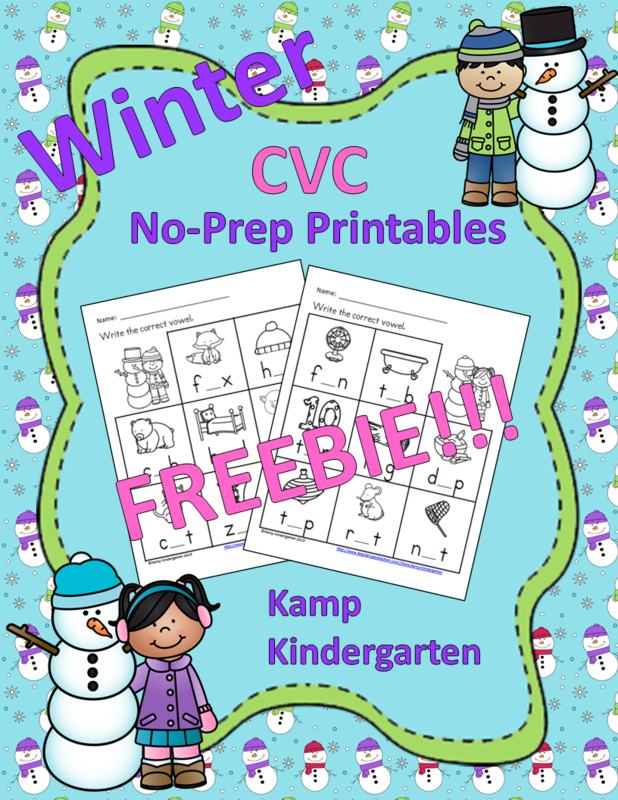 Have you downloaded the Winter CVC No-Prep Printables FREEBIE from Kamp Kindergarten? 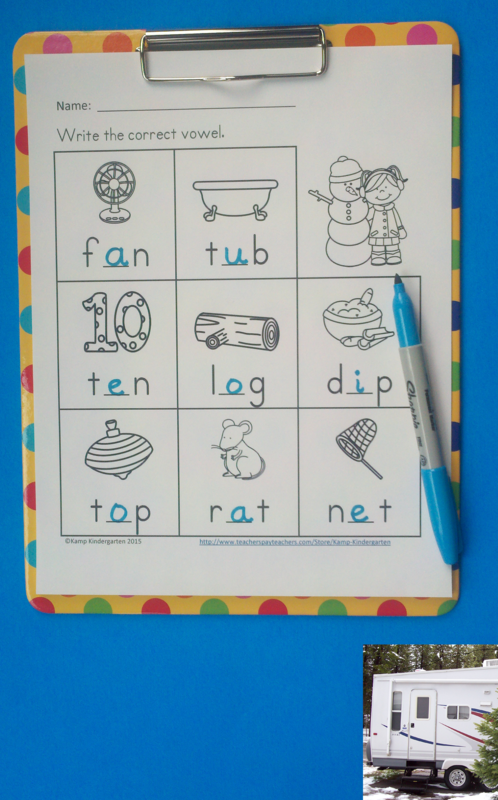 Learners write the missing vowel for the CVC words that are printed under the pictures. 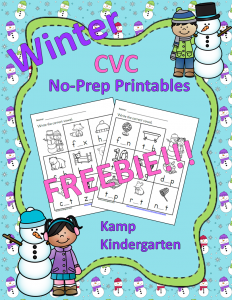 Just download, print, and use! Click HERE!!! 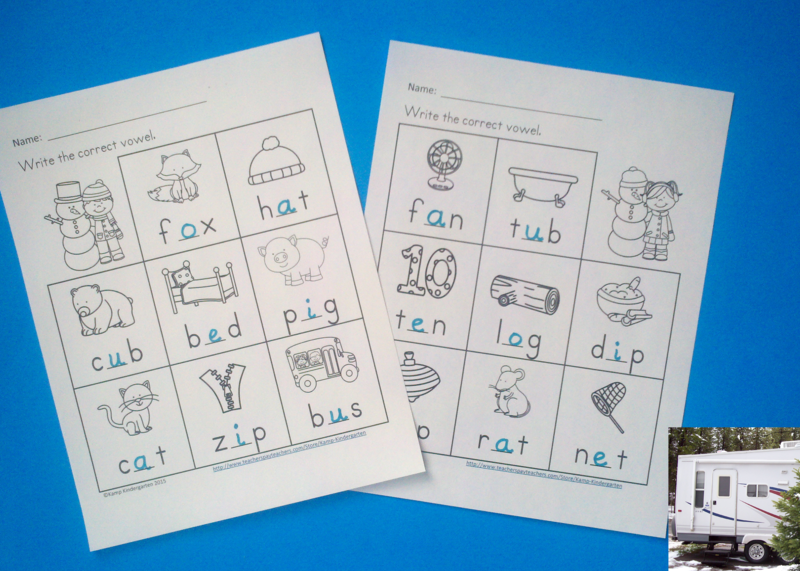 These pages are great for literacy centers, informal assessment, and take home practice. 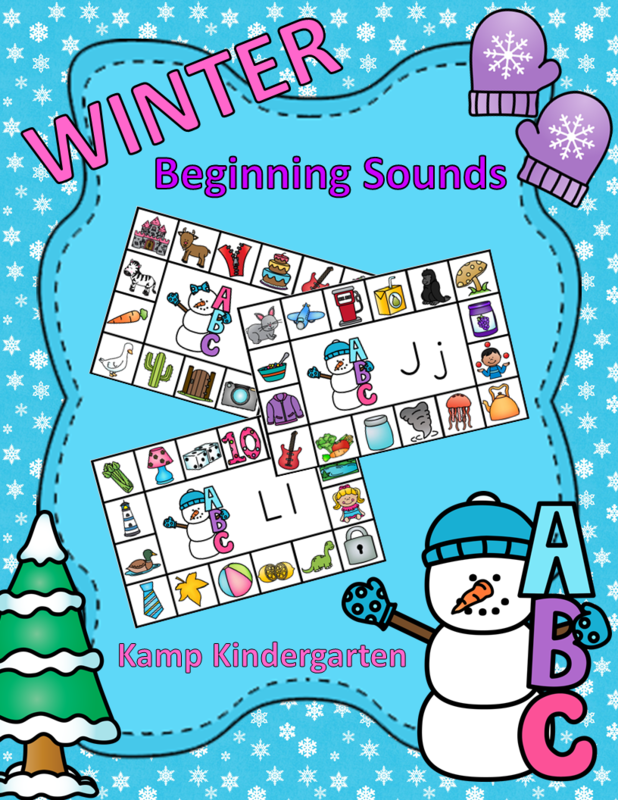 I am excited to announce that Teachers pay Teachers recently shared my Winter Literacy Activities Snow Friends Beginning Consonant Sounds resource on their Winter Resources + Activities from TpT Pinterest board! Click HERE to view their pin. Click HERE to view the resource on TpT. 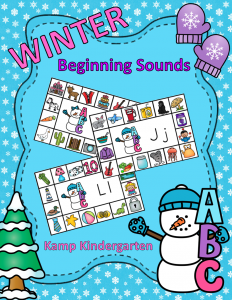 Be sure to check out the preview for examples of the many ways this versatile resource can be used. Thanks, Teachers pay Teachers! 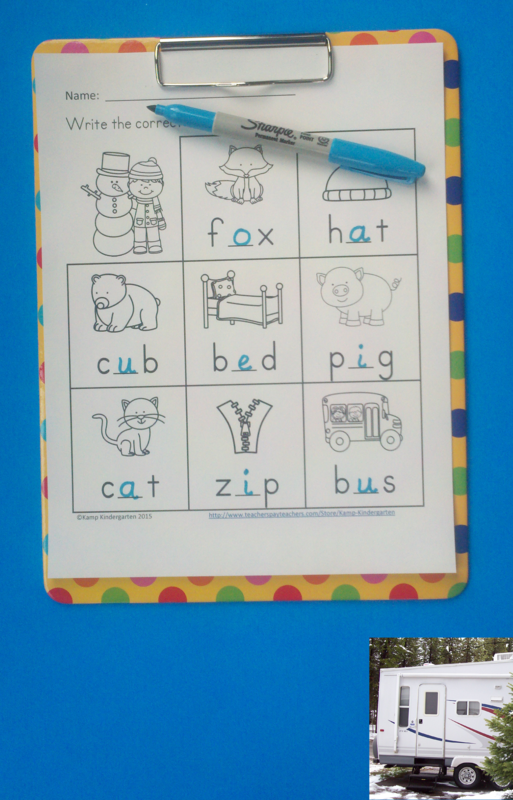 This really brightened a cold winter day for me.